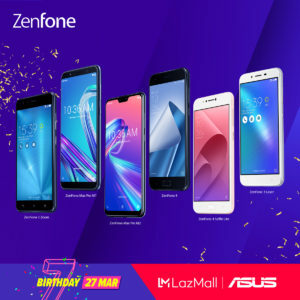 Lazada Philippines is celebrating its 7th year this whole month of March, and ASUS Philippines joins in on the birthday bash. On Wednesday, March 27 get the whole gang ready for exclusive, limited-time, discounted offers on crowd-favorite, photography-centric ZenFone products from the ZenFone 3 Series and ZenFone 4 Series. 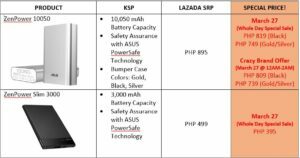 In addition, some of the renowned Battery Kings from the ZenFone Max family are joining the sale too, as well as a couple of ZenPower products.